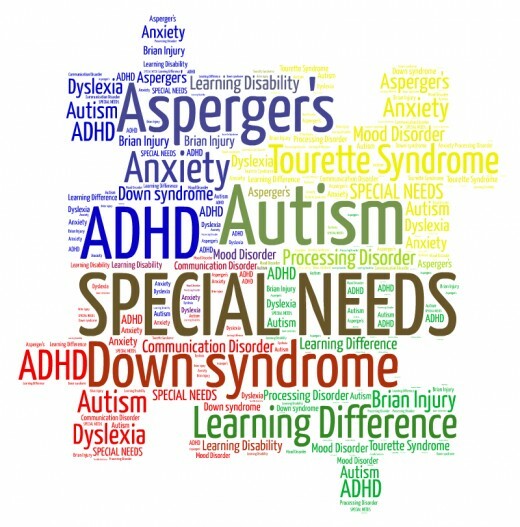 Nowadays, all over the globe, we hear of many different diagnoses which go under the umbrella of special needs. They may be physical handicaps such as blindness or paralysis, intellectual handicaps such as cognitive delays and mental retardation, social adaptation disabilities such as autism spectrum disorders, behavioral disabilities such as ADHD along with a myriad of cases which may sometimes fall under two or more of these categories. In most cases, when a diagnosis of any special need is issued, parents find themselves in a social, psychological and personal bind. They don’t know what to do, who to go to, how to deal with the child along with an extensive list of issues ranging from very trivial to very life changing. In this article, we will be dealing with the whole process of detecting, diagnosing, planning and educating a child with special needs, regardless of the case or the disability. The first thing that parents should know about child raising in general is the fact that no two children are ever the same. Surely, there are some common milestones to look out for, but they are not always accurate or precise and may vary, sometimes widely, between a child and another. The second thing that parents need to know is that they aren’t, in any way, expected to know everything about children. In many cases, extensive knowledge about a child’s development may lead to parental stress in case the child is not developing by the book. All parents need to know is that they need to take it easy because, when they stress, their child stresses with them. Of course, they shouldn’t take it too easy in case there is an actual problem which can be remediated through early intervention. Now that these two premises are established, the fact that no two children develop in the same way and that parents aren’t expected to know everything, we can start working on detecting a child with special needs early on. In many cases, a child’s special need is not detected before he starts schooling. However, vigilant parenting is a must for all children. To stay informed and on the right track, parents can acquire readily available lists of milestones for child development online. One example can be found here. However, parents must be careful and know that these milestones may not happen to the letter. While some may develop sooner, others may develop later. As long as they are reached within a period which is up to two or three months late, parents don’t need to be concerned. However, in case there is a more significant delay depending on the milestone in question or if more and more milestones are delayed, then the red flags should start popping up and it is recommended to ask a specialist. Usually, the first person to ask would be the child’s pediatrician. Moreover, parents need to know not to panic because that would negatively affect their child’s development. In case a child crosses all milestones on time and makes it to school, parents need to do two things. For one, they need to remain vigilant. There are many factors which may affect or hinder a child’s development at school. He may be bullied or abused by others. Parents can know that something wrong is happening when they notice a sudden or gradual change in their child’s behavior or attitude. The second thing parents need to do is to stay in contact with teachers in order to remain informed about any problems the child or the teachers may be facing. In many cases, teachers may have noticed something but forgot to report it. This is not due to negligence on the part of the teacher, but to the fact that teachers may have to deal with huge numbers of students, which may lead to forgetfulness in some cases. However, when parents ask, the teacher will usually remember and report their concerns. Therefore, make sure to always ask the teachers if they notice something strange or wrong. This will not only help you detect special needs early on, but also to uncover potential threats to your child’s development. As a child goes into puberty, more issues and cases may arise. In general, this is due to adolescence but, in some cases, if these issues are not effectively tackled and remediated early on, they may lead into problems later on in life. Some of the problems adolescents are at risk of are related to psychological and behavioral disorders including depression and bipolar disorders. These cases may be manifested in younger children however, more adolescents and youths face them. In these instances, it is recommended that the adolescent visit the school counselor or a psychologist. Usually, when parents are vigilant all through their children’s lives and up until early adulthood, the problems faced by these children decrease greatly. However, parents must be careful about overdoing the vigilance and crossing into overprotection. Naturally, everything and everyone grows stronger by facing adversity. A child who does not face challenges and battles with the occasional no or scolding does not grow up psychologically healthy. Life does not always give you what you want and therefore, your kids should be able to cope with not getting what they want from time to time. After all, things acquire a deeper meaning when they are fought for. The first mistake parents make when teachers report a potential issue with their children is jumping to conclusions. Many parents will either research the symptoms on their own or ask other parents with similar problems about it. 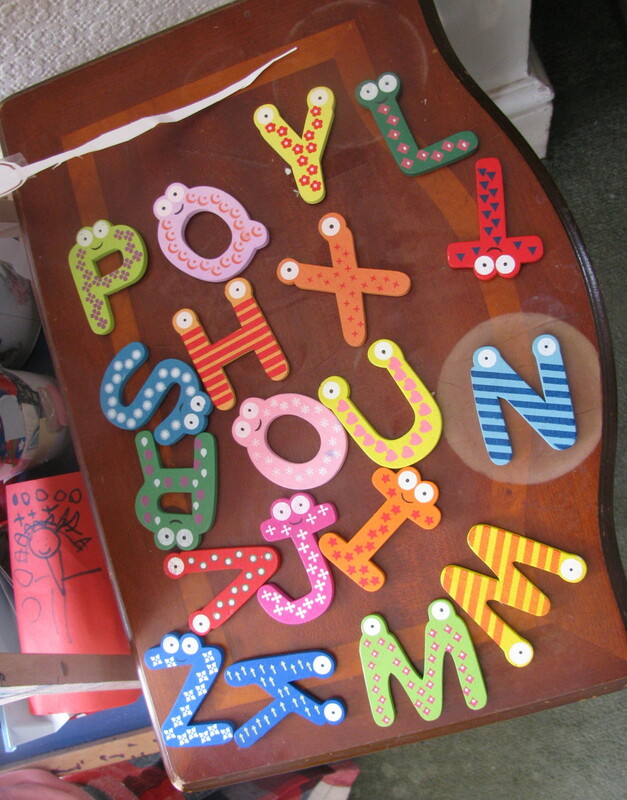 Eventually, parents end up misdiagnosing and/or labeling their child as something that he may or may not be. The best thing to do when a teacher reports certain issues to parents is to ask other teachers about it and see if the issue is prevalent. If the issue is not faced by other teachers, then the methods of the teacher who brought it up need to be checked. It may be that the child has issues with that particular teacher and does not like her much. If it is prevalent though, the child needs to be taken to an official diagnosis with a certified professional. No one is perfect though and even certified professionals are prone to misdiagnoses sometimes. However, the chances of misdiagnosis increase greatly between personal diagnosis done by the parents themselves and an official diagnosis. Regardless, it is always recommended to go for more than a single diagnosis with different professionals and, if it is not the same, a third may be consulted. Additionally, a reassessment needs to be done every two or three years, if not every year, in order to keep track of progress. It is recommended that the reassessment be done by the same professional who did the initial diagnosis because he should be the most familiar with the case at hand. Parents have to be aware that the purpose of the diagnosis is not to solve their child’s problem, but to recognize what it truly is. Most parents will come out of their child’s diagnosis with more problems than they came with, but that is normal. The diagnosis is to expose all the issues and their underlying causes so that treatment and educational professionals may become more able to implement procedures for treatment and solutions. One of the grave mistakes that parents make is when they refuse to hand in the complete results of the diagnosis and assessment to the school or center where their child is enrolled. This would lead the multidisciplinary team astray and will confuse them more than guide them. Eventually, this will reflect on the child’s poor progress. No matter what the diagnosis may be, parents need to be aware that there is always a solution and that the multidisciplinary team’s job is to help. However, many parents are unable to implement the proposed solutions due to many factors such as pity on the child or a refusal to accommodate their lifestyle to his needs. Moreover, parents who hire professionals to implement treatment for their child with special needs sometimes tend to take a back seat or let go of their responsibilities concerning their child. In these cases, the child’s progress becomes slower than when parents are actively involved as part of their child’s treatment. 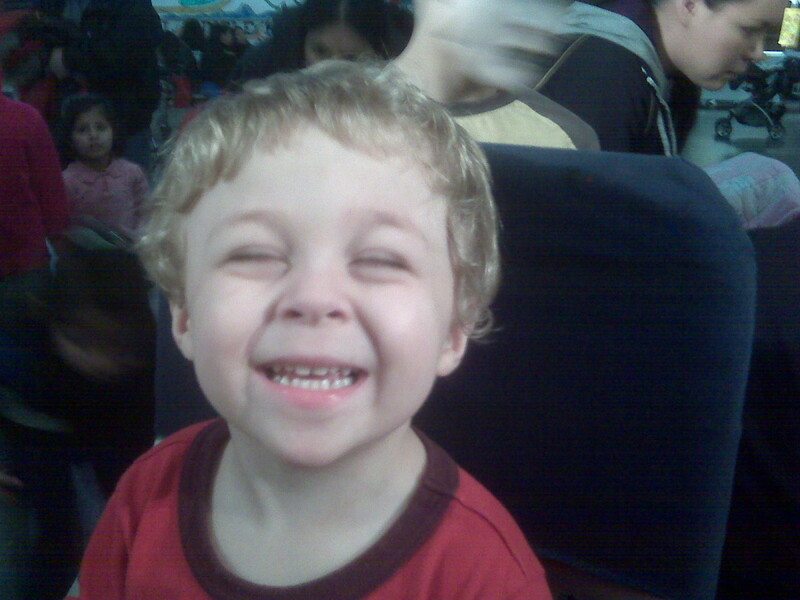 What is the best option for a child with special needs? A special needs diagnosis is not a death sentence, but the first step towards a better future for a child with special needs. However, many parents’ hopes and dreams for their child shatter once they receive a special needs diagnosis for their child. This is something many parents who have specific dreams for their children end up facing once their children have their own dreams. 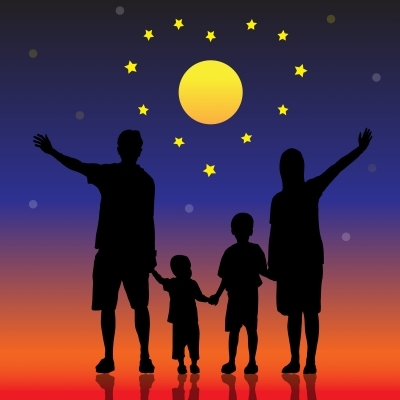 Therefore, this recommendation goes to all parents, not only those with children who have special needs: the only dream that you are allowed, yes allowed, to have for your children is to have a happy and prosperous life. How they go about achieving this goal is up to them and it is your duty to support them no matter what they choose to pursue. You cannot force your children to become lawyers and doctors if they want to be artists or musicians. Every child is born with talents; it is your duty as parents to find them and help him develop them. Even children with special needs are born with talents and capabilities. Even though they may manifest differently, these capabilities are still there and you can still find them, if you look carefully enough. Most of the time, children with special needs reach high school somehow and their parents are faced with the ultimate career decision. That’s when they discover that they have no idea what their child really likes. They have never taken the time to expose their child to different activities and career paths which would allow him to uncover his potential. Moreover, some parents, especially in Lebanon, refuse to even consider moving their child with special needs into technical or vocational school even though he’s barely coping with academics. They will make him struggle until he reaches grade 12, then buy him a passport which would eventually allow him to graduate without sitting for official exams. Eventually, that child reaches university and repeats the same courses a few times, changes majors more times and eventually drops out completely after having wasted tens of thousands of dollars. Parents need to understand that school and university are not the only options. Moreover, they shouldn’t even be considered options in some cases. Sometimes, an early career placement may be the best option for that child. Instead of wasting thousands of dollars on a university from which that child has little or no hope to graduate, parents can invest in a small business for their child (and maybe his friends), which would allow him to be productive and to learn the skills he will need in life, under their supervision. I am not saying that all children with special needs have no hope of graduating from university. However, the school record may be the best indicator for success in university. When a child has delays which are more than four or five levels behind (for example, a child who is in grade 10 but studies content designed for grade 5), university, or even continued schooling should not be considered. Consequently, if such a child is forced to stay longer in school, his chances of leading a happy life decrease every year as the academic gaps expand and life skills areas which are not addressed in an academic curriculum and which are indispensable for him are left out. The sooner a child with special needs is taught how to adapt and function in society, the more he will learn in the long run and the more he will be able to lead a healthy life. School and university education are going nowhere and, if a child wishes to reconsider them later on in the future, he can always find ways to do so. While a regular child has a somewhat clear-cut path through school, then university and then career, a child with special needs has a somewhat bumpy road of trial and error. Therefore, once a child is diagnosed, parents need to discuss different options with the multidisciplinary team. The members of this team who may include teachers, counselors, psychologists, etc… have more experience with similar cases and know what usually works. Of course, the parents always have the final say in the matter however, they need to keep an open mind and always have their child’s dream in mind, not theirs. Not everyone can be Temple Grandin, but every child has a role to play. Every child can learn, though not in the same way or the same amount of information. Many children with special needs in inclusive settings are expected to learn in the same way as their regular peers. However, in many cases, they cannot. 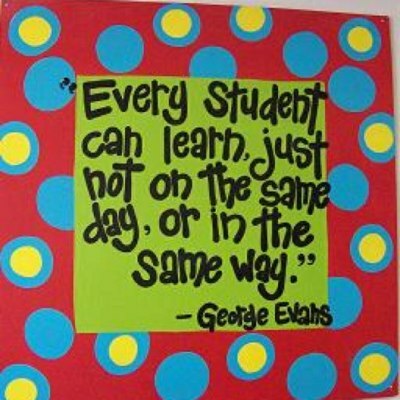 That’s why an IEP (Individualized Educational Plan) is usually created and implemented. Unfortunately, IEPs sometimes limit a child’s potential. That’s why a general education for life plan should be considered. In a General Education for Life Plan (GELP), three core areas can be tackled: academics, life skills and career exploration. In the academics section, the child’s instruction in general education is detailed and redesigned according to his capabilities. In the life skills section, all the skills that a child will need currently and later on as an adult can be tackled. These skills may include personal care, commutation, communication skills, etc… In the last area of career exploration, the child is exposed to different types of arts and careers which will enable him to discover where his talents and capacities lie. If implemented from an early age, by the time the child is old enough, he will have been exposed to many career paths and his potential will have been revealed. In case a child showed great interest in a certain career path early on, then the other sections of his GELP can be modified to include the teaching of skills and knowledge related to his chosen career path, while working simultaneously on general skills and information. If such a path is chosen, the child and his parents can be saved from a road which may be full of struggle and disappointments. A mistake that many parents, especially in Lebanon, make is that when a child with special needs is born to them, they will feel pity for him. Moreover, they will always do things for him and pamper him. Eventually, that child grows up spoiled and without any of the skills needed to survive on his own. He therefore becomes a burden on his family and the society as a whole. Moreover, when his parents pass away, he is usually inherited by another family member if not sent to an elderly home or to beg on the streets. Parents need to realize that a child with special needs is a child just like any other and should be treated the same. Of course, there are special considerations based on his case, but still, he needs to become as independent as possible. No one can be expected to clean up after anyone else’s spoiling. Every child can learn and become independent provided with the right support and atmosphere. Sometimes, as Terry Goodkind states, “the greatest harm can result from the best intentions.” While parents are working for their child’s present comfort and joy, they may be ruining his chances of future success and happiness. The world of special needs is vast and ever changing. However, when parents keep the greater good of their child in mind, any child, with or without special needs, is able to lead a happy and successful life. A child’s dream is what counts eventually, and not what his parents dream for him. No matter what special needs a child may have, his parents must strive to keep him the pride of their lives, not by imprinting him with their own desires, but by exposing him to different paths and supporting him with whichever he chooses. That’s why school may not be the best option for a child with special needs. Sometimes, an early career may ultimately be the best choice, depending on a child’s current level of achievement. In conclusion, every child has a role to play, a road to walk and a talent to share with the world. It is the job of the parents and the teachers to act as the caretakers of that talent and not as its jailers.